The Supreme Court recently handed down its judgment in the case commonly referred to as Meltwater. The Court considered whether copies of webpages created while internet browsing are exempt from copyright protection by reason of the ‘temporary copies’ exception provided by the Copyright Designs and Patents Act 1988, s 28A, which gave effect in the UK to art 5(1) of Directive 2001/29/EC (the “Infosoc Directive”). The case concerns the supply by Meltwater, a media monitoring organisation (MMO), of aggregated news content consisting of headlines and extracts from newspaper websites to “end-user” public relations professionals (represented by the Public Relations Consultants Association (PRCA)). These results are provided to the end-users (a) by email and (b) on Meltwater’s website. The issue on appeal to the Supreme Court was whether the end-user could rely on the ‘temporary copies’ exception in the 1988 Act in viewing the material on Meltwater’s website. The appeal, which was heard by a five-judge panel comprising Lords Neuberger, Kerr, Clarke, Sumption and Carnwath, was brought by the PRCA. The respondents were the Newspaper Licensing Agency Ltd and certain newspaper publishers it represents: MGN Limited, Associated Newspapers, Express Newspapers Ltd, Guardian News and Media Ltd, Telegraph Media Group Ltd and Independent Print Ltd. The Supreme Court, in a single judgment given by Lord Sumption, held that browsing was intended to be covered by the ‘temporary copies’ exception. However, due to the “transnational dimension and potential implications for internet users across the EU”, the Court chose to refer the matter to the CJEU for a preliminary ruling on whether the requirements of art 5(1) of the Infosoc Directive are satisfied having regard to the fact that (a) the temporary copies may remain in the computer’s cache until overlaid by other material and (b) a copy will remain on screen until the end-user has terminated their browsing session. The NLA manages the IP rights of its newspaper publisher members. In 2009, following a consultation with the MMO industry, the NLA introduced a new licensing scheme for MMOs and their clients, the end-user, to make commercial use of content published on its members’ websites. The scheme included a Web Database Licence (WDL) directed at the MMO and a Wed End User Licence (WEUL) for the end-users. Meltwater monitors news websites using “spider” programmes to scrape content. Meltwater uses this content to generate bespoke aggregated news reports for its end-users (the PR professionals) based on certain search words provided to Meltwater by its end-users. These reports are provided to end-users via email or by allowing them to view the results on Meltwater’s website once logged in. The reports include a hyperlink to the article on the news publisher’s website, the article headline and an extract from the article of 256 characters in length. In this respect the Meltwater News service is similar to the Google Alert service and the Google News website. Copyright subsists in original literary works (s 1(1) of the 1988 Act) and the author of such a work has the exclusive right to carry out “restricted acts” in relation to the work (ss 2(1) and 16(1) of the 1988 Act). Such restricted acts include copying and issuing copies of the work to the public (the “reproduction right”). A person infringes copyright if they perform a restricted act in relation to the whole or a substantial part of the work (ss 16(2) and (3)). In December 2009, shortly after the NLA launched their licensing scheme, Meltwater referred it to the Copyright Tribunal and sought an assessment of the reasonableness of some of the terms of the licences, although it had undertaken to enter into the WDL pending the outcome of this reference. 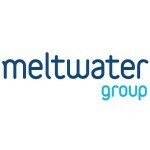 The PRCA intervened and appointed Meltwater as its agent. Both parties challenged the need for both the WDL and WEUL on the basis that their activities did not infringe the copyright of the NLA’s members. The parties agreed the question of copyright infringement went beyond the jurisdiction of the Copyright Tribunal and subsequently the NLA sought a declaration in the High Court that the activities of Meltwater and the end-users did infringe the copyright of the NLA’s members and that both parties required a licence from the NLA. 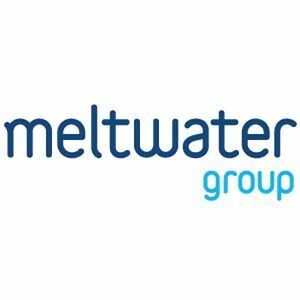 Since Meltwater had undertaken to enter into the WDL, the High Court stayed the proceedings against Meltwater but NLA’s action against the PRCA was ordered to proceed so that the question of whether Meltwater’s customers, that is the UK PR consultants/end-users, required a WEUL could be determined. Mrs Justice Proudman at first instance found in favour of the NLA and its members, holding in respect of the ‘temporary copies’ defence that it could not be relied upon by PRCA, primarily because such copies were made for “consumption of the work” rather than as part of a technological process, as required by art 5(1). A declaration was granted to the effect that the PRCA and/or its members require a licence or consent from the NLA and/or the publishers in order lawfully to receive and/or use the Meltwater News Service. The PRCA appealed all issues from Mrs Justice Proudman’s judgment, including the finding in respect of the ‘temporary copies’ defence, to the Court of Appeal. In its judgment, the Court of Appeal unanimously dismissed PRCA’s appeal for the reasons given by Mrs Justice Proudman but modified the declaration, holding that it went further than warranted. The Court of Appeal found that it isn’t the case that every recipient and/or user of the Meltwater News service will inevitably infringe the copyright since there may be some cases in which neither the headline nor the extracts constitute a copyright work or a substantial part of a copyright work. In those cases, the end-user would not require a licence or consent from the publisher. In relation to the ‘temporary copies’ exception, the Court of Appeal held that this does not apply – at least to any on-screen copy and possibly to further copies if occasioned by a voluntary human process. At paragraph 2 of the judgment, Lord Sumption explains how viewing webpages works, noting that the ordinary use of the internet will involve the creation of temporary copies of a copyright work “at several stages“. In particular, when a web-page is viewed by an end-user on his/her computer, the following temporary copies will be made: (a) a copy on-screen, which will remain there until the user moves away from that web-page; and (b) in the cache on the computer hard disk, which will either remain there until manually deleted by the end-user or automatically over-written when disk space is full. Lord Sumption stressed that unless the end-user downloads or prints that web-page, the end-user does not set out to make a copy of that web-page – his/her object is to view the material. Lord Sumption characterised the question on appeal as being whether those copies are nonetheless infringing copies unless licensed by the rights owner. Lord Sumption noted the object of the InfoSoc Directive was to “ensure a ‘high level of protection for copyrights’, while modifying those rights to allow the ordinary use of the internet” and that the InfoSoc Directive explicitly states the temporary copies exemption should include acts which enable browsing and caching. The judgment then reviewed CJEU decisions that had considered art 5(1), noting in particular that Infopaq International A/S v Danske Dagblades Forening (C-302/10) and Football Association Premier League Ltd v QC Leisure & Ors (C-403/08) and Karen Murphy v Media Protection Services Ltd (C-429/08)  1 CLMR 29 had not been decided when the lower courts gave their decisions, and these cases would have altered the views previously reached. Subject to certain limitations, the exemption in art 5(1) of the Infosoc Directive applies to copies made as an integral and necessary part of a technological process – in particular the digital processing of data. The making of copies is necessary if it enables the process to function correctly and efficiently. Copies must be temporary – this means storage and deletion must be the automatic consequence of the user’s decision to initiate or terminate the relevant technological process AND the duration of the copy should be limited to what is necessary for the completion of the relevant process. The exemption also applies to copies made for the sole purpose of enabling lawful uses of the work. This includes internet browsing. A use is lawful regardless of whether the copyright owner has authorised it if it is consistent with EU legislation governing the reproduction right – this includes art 5 itself. The making of the temporary copy must have no independent commercial value, i.e. no value in addition to that which it has derived from act of digitally transmitting or viewing material. In applying these principles to the case at hand, Lord Sumption stated that the “first and fundamental” question is whether art 5(1) of the Infosoc Directive applies at all to temporary copies generated by an end-user’s use of the internet. The Court found it did because (i) such use was expressly envisaged in the recitals to the Infosoc Directive; (ii) “lawful use” in art 5(1) includes use of a work by an end-user browsing the internet; and (iii) this is consistent with Football Association Premier League Ltd.
had no independent economic significance – applying the CJEU decision in Football Association Premier League Ltd, the Court held that unless users download or print material the sole economic value is derived from reading the material on screen. This only left the conditions that the copies generated should be “temporary” and “transient or incidental”. The Court conflated the concepts of something being “temporary” and “transient” and held that the copies clearly were. The Court also found it to be “incidental”: the software puts a web-page on screen and into the cache for the purpose of enabling a lawful use of the copyright material, i.e. viewing it, and the creation of the copies is wholly incidental to the technological process involved. It has never been an infringement for a person to view or read an infringing article in a physical form. The effect of art 5(1) of the Infosoc Directive simply is that viewing of copyright-protected material on the internet is treated in a similar way. If the exemption did not apply millions of internet users may unwittingly incur civil liability by viewing copyright-protected material on the internet without the consent of the rights owner (e.g. if such material was unlawfully uploaded by a third party) just by browsing the internet. Remedies can be found against those who are more obviously at fault, i.e. the copyright pirates. However, the Court did note that this decision may result in the MMO having to paying a higher licence fee for content because such licences currently are granted on the basis that end-users such as the PR consultants also need a licence. Upon finding this appeal raised “an important question about the application of copyright law to the technical processes involved in viewing copyright material on the internet”, the Court decided to refer the case to the CJEU. Although the Court is yet to decide the specific form of the question that will be referred, in substance it will be whether the requirements of art 5(1) of the Infosoc Directive that acts of reproduction should be (i) temporary, (ii) transient or incidental and (iii) an integral and essential part of the technological process are satisfied, having regard in particular to the facts that (a) copies may remain in the cache after the browsing session that generated them has ended until such copies are overlaid by other material; and (b) an on-screen copy will remain on an end-user’s screen until the browsing session is terminated by the end-user. Subject to the outcome of this reference, the crux of the Supreme Court’s decision is that browsing on the internet, including of material that has been uploaded illegally, is unlikely to amount to copyright infringement by the end-user. However, downloading, printing out or forwarding copyright content for a commercial advantage will still infringe copyright. As the Supreme Court acknowledges, similar “temporary copying” issues arise when viewers watch a broadcast on a digital TV, or a subscription TV programme via a set-top box. Additionally, we expect that end-users who stream (but do not download) pirate videos and music online, whereby temporary copies are created in the end-user’s computer’s cache or on-screen, will also be exempt from copyright infringement by virtue of this decision. In respect of online streaming, the CJEU has recently held in ITV Broadcasting & others v TV Catchup that the unauthorised online streaming of TV broadcasts constitutes a “communication to the public” by the service provider. When the case returns to the High Court later this year for the decision of the CJEU to be applied to the facts of the case, the application of art 5(1) of the Infosoc Directive will be reconsidered in light of the CJEU decision. As such, the High Court may use that opportunity to provide some further commentary on the implications for end-users when viewing content online. As the Supreme Court points out, Meltwater effectively treats viewing electronic copies of copyright-protected material in the same way as viewing physical copies. Such a scenario must be what was intended by the InfoSoc Directive, which envisaged that old principles would continue to apply to new technology, providing at Recital 5 that (emphasis added) “while no new concepts for the protection of intellectual property are needed, the current law on copyright and related rights should be adapted and supplemented to respond adequately to economic realities such as new forms of exploitation”. This does, in theory, limit the remedies available to rights holders in taking action against piracy. However, in practice, rights holders have only tended to take action against those providing/distributing infringing material across all areas of IP law. It is, practically, more beneficial to pursue the source of the infringing material rather than end-users since attacking the source is more likely to result in the efficient removal of the infringing content/product from market; end-users are often unlikely to have sufficient means to satisfy judgment debts or allow full costs recovery; and being seen to pursue individuals could tarnish the rights holder’s public image. Additionally, this reflects the criminal sanctions available for copyright infringement, which do not, subject to one caveat, seek to criminalise consumers in the UK. That caveat is that dishonestly receiving a programme included in a broadcasting service provided from a place in the UK with the intent to avoid payment is a criminal offence. Despite the Supreme Court’s finding that viewing even illegally uploaded material online is rendered non-infringing by the temporary copies exemption, it is suggested that viewing content that would be caught by these criminal sanctions could not be protected by the temporary copies exemption. It would be absurd if art 5(1) prevented an act from incurring civil liability that would otherwise be punishable as a criminal offence. The Supreme Court’s decision may encourage rights owners to seek higher licence fees to counteract any unauthorised distribution of their works caught by the temporary copies exemption. However, whilst this might affect rights holder’s exploitation strategies, from an enforcement perspective, realistically little will change. Leave a reply on "Case Comment: Public Relations Consultants Association Ltd v The Newspaper Licensing Agency Ltd & Ors  UKSC 18"